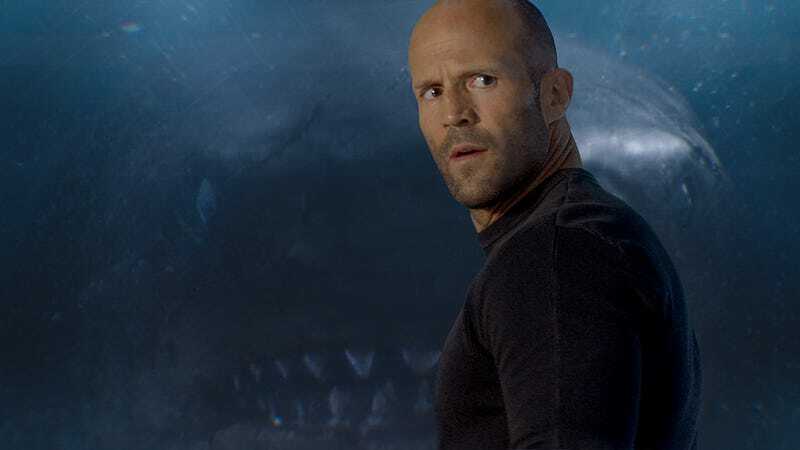 In The Meg, Jason Statham finally battles the most worthy opponent he has ever faced: a 75-foot megalodon we’re going to assume is named Meg. Statham can fight dudes with giant wrenches and he can do high-flying stunts to keep his heart electrified, but The Meg negates all of his prior experience by taking the action underwater, where guns and high-flying stunts are useless. Will he beat the shark and say something cool like “Shut your big mouth, Chompy,” or will the shark win and he’ll get eaten for real and never be in any more movies ever again? The only way to find out is to go see The Meg, and The A.V. Club is giving a few lucky readers in Chicago a chance to do that early and for free. The screening will be held at the AMC Navy Pier IMAX on August 6, and you don’t even have to shave your head and say “Oi, I’m gonna kill that big shark” in your best Cockney accent to get in. You just have to fill out your information at this link and then make sure to stay out of the ocean, because a shark this big would eat you and everyone you care about in the blink of its cold, dead eye. Just remember: Advance screenings are often intentionally overbooked, so be sure to arrive early if you want to secure a seat. If you’d rather let the shark win, like a coward, The Meg will be in theaters on August 10. Oi, shut your big shark mouth, mate!